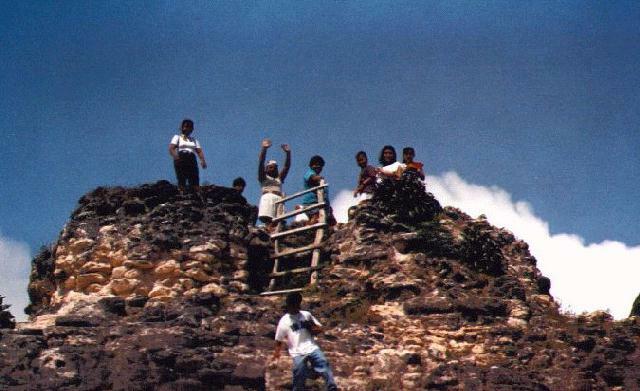 We traveled to Belize in March 1996, and can't wait to go back. 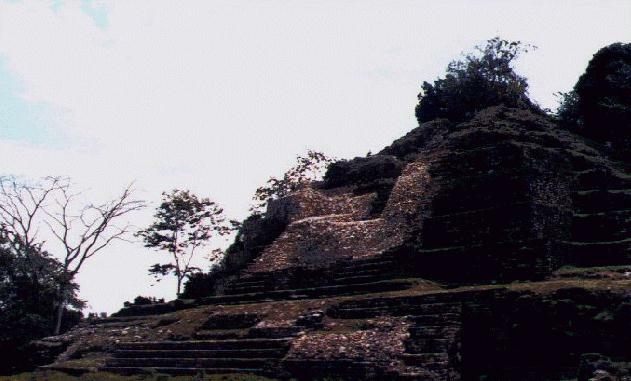 Belize is a small country located in Central America, located on the Yucatan Peninsula, between Mexico and Guatemala. Belize was formally known as British Honduras and was a British Colony until September 21, 1981 when were granted independence by Britain. Belize is a beautiful country with magnificent reefs, jungles, and the largest concentration of Mayan ruins of anywhere in the Mayan world. 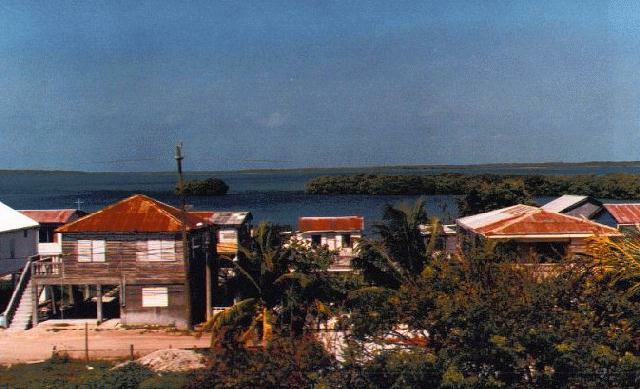 Belize is about the size of Vermont and has a population of about 200,000. Here are some snapshots from our trip. 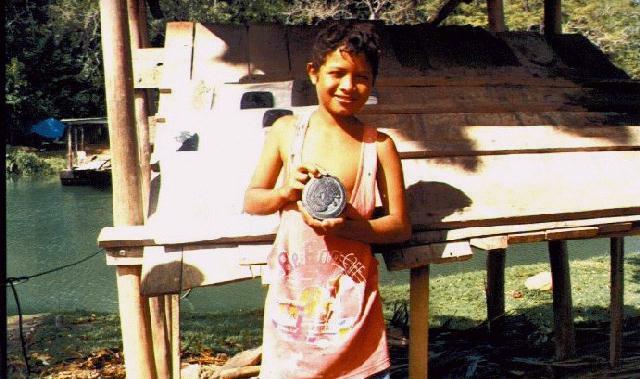 On our way to Xunantunich, we bought slate carvings from some local boys. 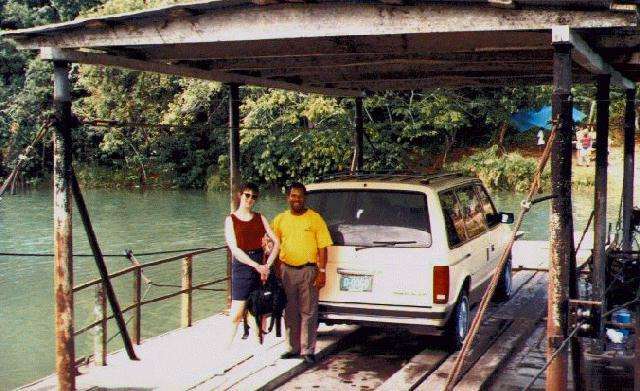 This is the one car ferry across the river to Xunantunich. My wife Sandy is posing with Edgar August, or very knowledgeable tour guide. This is the ferryman. 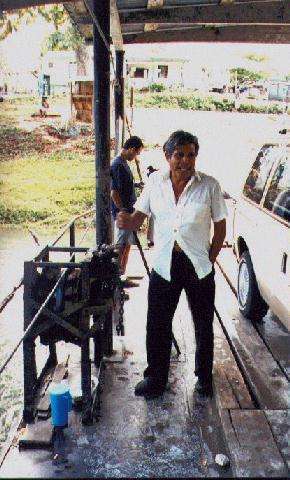 The ferry is connected to a cable that crosses the river, and the ferry is hand cranked across the river. This is the view from the top of one of the pyramids at Xunantunich. 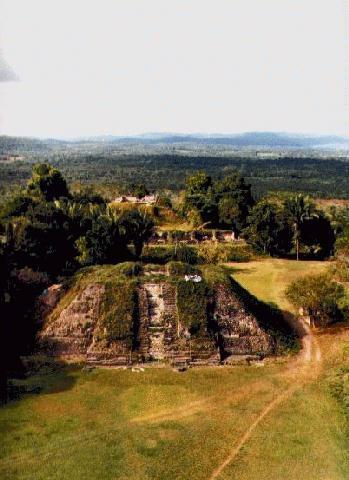 This is in the Cayo district of Belize, and we could see the Guatemalan border from the top. We could also see other ruins in the distance. 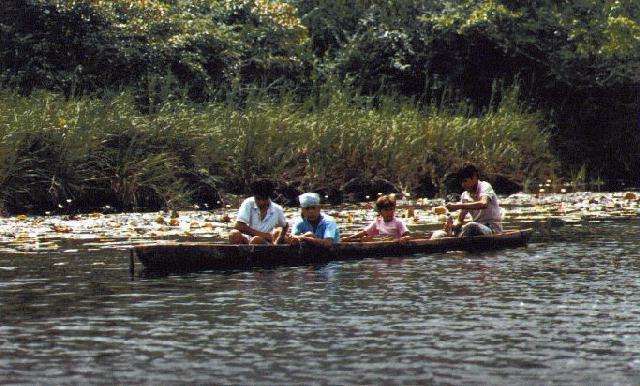 Our trip to Lamani was by boat, through the Orange walk district. Besides lots of wild life, we passed these kids fishing from a dugout canoe, and passed Mennonite farms. On the way there we heard a mixture of English, Spanish, German, and Mayan spoken. 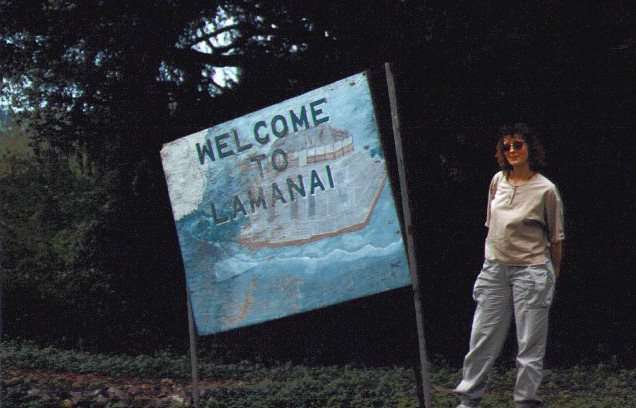 Sandy at the entrance to Lamani. Lamani means "Submerged Crocodile" in Mayan. The city was named this due to large masks found depicting a ruler wearing a crocodile headdress. The biggest pyramid at Lamani. This was the view I was waiting for. You walk out of the jungle, and into a clearing, and this is what you see. This temple is 33 meters high. Local kids visiting Lamani. It looked like a school field trip. 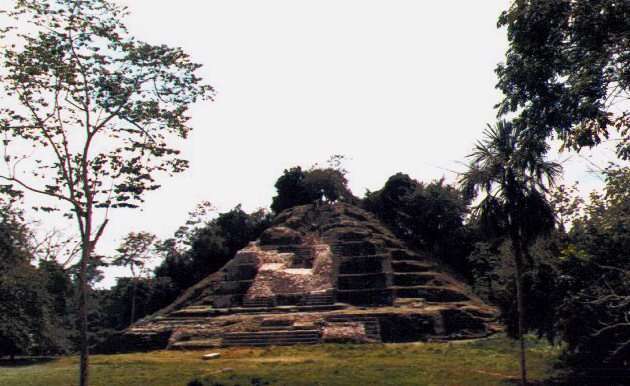 Another view of the main pyramid at Lamani. 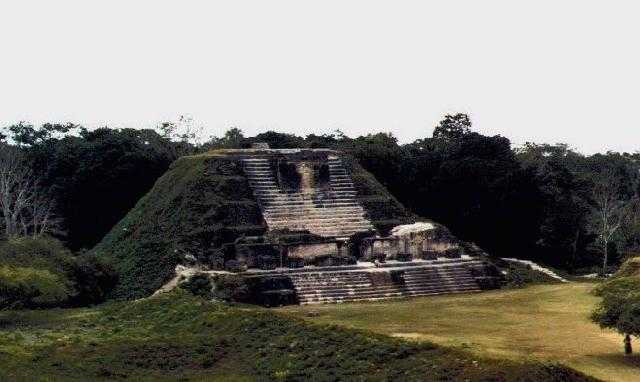 The main pyramid at Altun Ha. 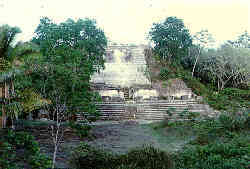 Altun Ha has a large man made reservoir. The name means "Rockstone Pond" in Mayan, and it was named for this reservoir. This pyramid is on the label of locally made Belikin Beer. 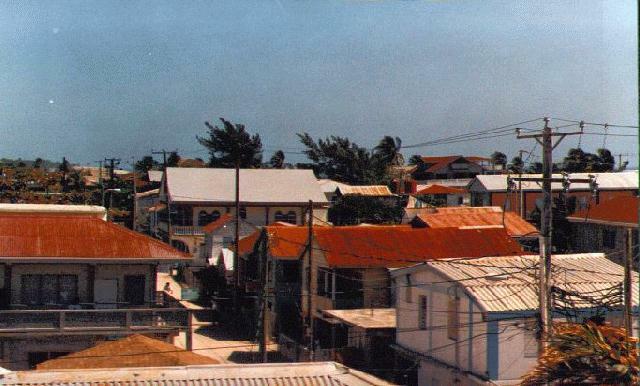 A view of downtown San Pedro on Ambegris Key. Building sizes are limited to 2 stories due to the hurricane threat. San Pedro is a small fishing village with a growing number of hotels. It is a barrier island with the mainland several miles away across a bay. The island is not more than a couple hundred yards across in places. 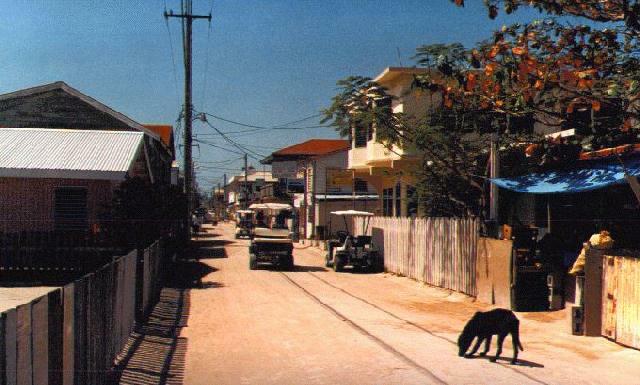 The streets of San Pedro are still packed sand. Cars are discouraged, and people mostly get around by walking, bikes, and golf carts. 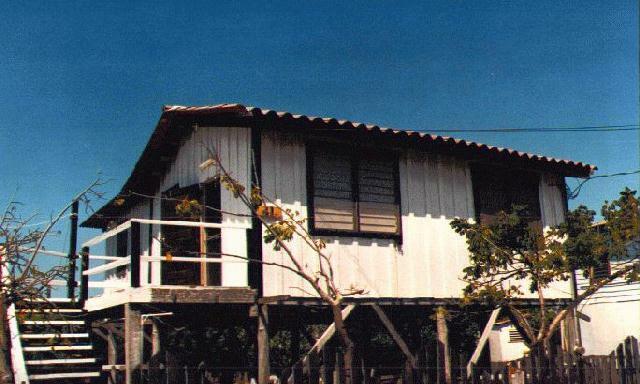 A stilt house in San Pedro. 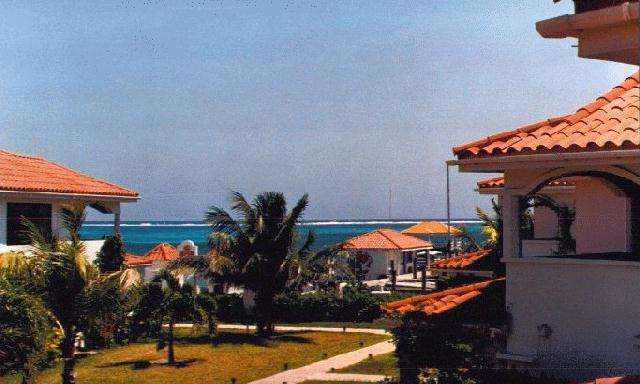 The Belize Yacht Club, the resort we stayed at in San Pedro. Dive boats would pick you up at the dock at your hotel for dives on the barrier reef within sight of shore. 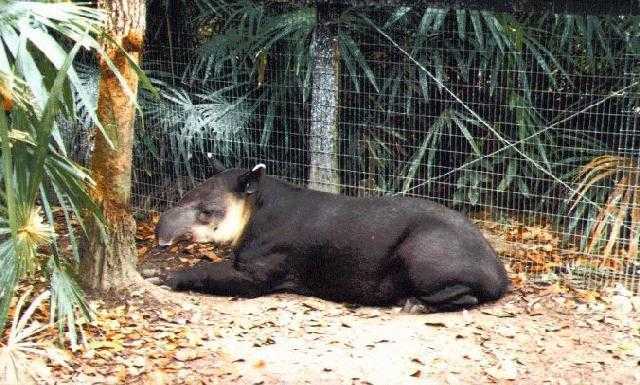 April the Tapair at the Belize Zoo. 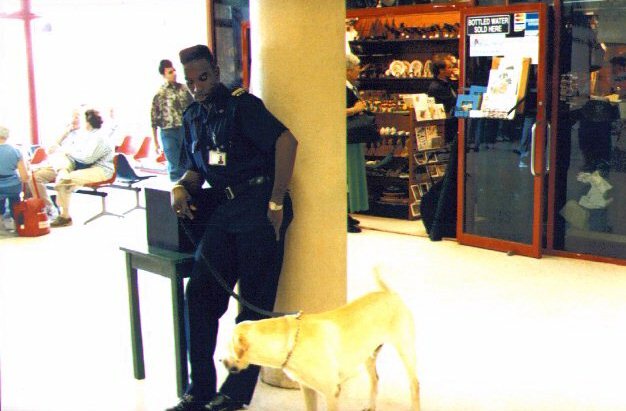 Policeman and dog at the Belize City airport. This was about as intimidating as the Belize authorities got. 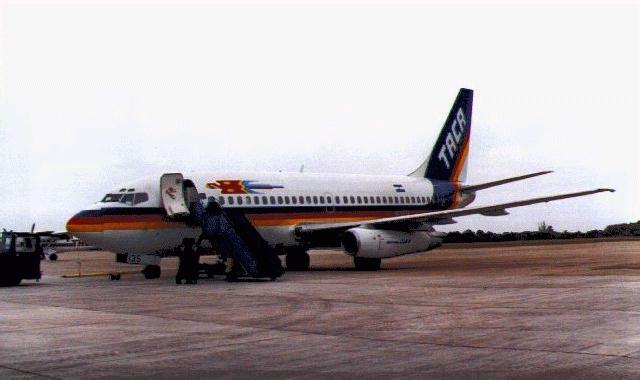 Taca airlines, the logo is a cool speeding parrot. David McGriffy's home page. It includes a 1991 picture of Altun Ha in a less excavated state.